Fermi’s Paradox refers to the contradiction between the absence of evidence and the high probability estimations for the existence of extraterrestrial civilizations. There is a huge contradiction between the presumed probability of the existence of extraterrestrial life and the fact that contact has not been made. When Enrico Fermi questioned, “Where is everybody?” the answer was not clear, and it still remains a mystery. Enrico Fermi was an Italian-American physicist and the creator of the world’s first nuclear reactor. He wrote a paper titled: On the Origin of Cosmic Radiation, in which he proposed that cosmic rays arose through the material being accelerated by magnetic fields in interstellar space. Fermi examined the issues surrounding magnetic fields in the arms of a spiral galaxy. With these systematic researches, Fermi mused about what is now referred to as the Fermi’s Paradox. • There exist billions of solar-type stars in the galaxy. Many of these stars are billions of years older than the solar system. • There is a high possibility that these stars, which are similar to the sun, have Earth-like planets, so some probably have developed intelligent life. • Some of these civilizations may have developed interstellar travel, which our science is now trying to develop. • Even at the slow pace of currently envisioned interstellar travel, the Milky Way galaxy could be completely traversed in a few million years. 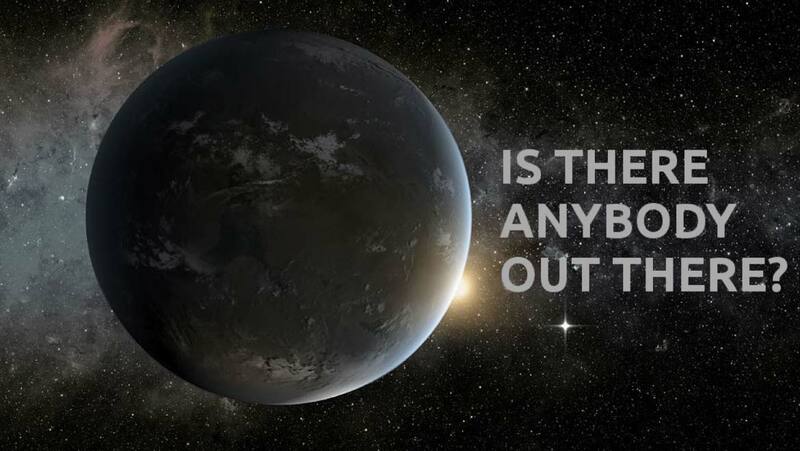 Other explanations for the Fermi Paradox include extraterrestrials "spying" on Earth, ignoring it altogether, visiting it before civilization arose, or visiting it in a way that we can't detect. The year is 1960. Professor Frank Drake of the National Radio Astronomy Observatory (NRAO) in Green Bank, West Virginia, takes over to find extraterrestrial civilizations. For four months, the NRAO radio telescope listens for radio signals of intelligent origin, but none are found. The expectation that the universe should be teeming with intelligent life is linked to models like the Drake Equation. The Drake Equation is an attempt to contain all the variables that would be relevant to establishing the number of intelligent civilizations that existed in the Milky Way galaxy and which were broadcasting radio signals at this particular point in time. The Drake Equation is composed of seven terms. The first six are used to compute the rate at which intelligent civilizations are being created, and the final term identifies how long each last on average as a broadcasting civilization. The Drake Equation applies only to intelligent civilizations in the Milky Way galaxy. It does not apply to civilizations in other galaxies because they are too far away to be able to detect their radio signals. Imagine the parameters needed for an alien civilization to make contact, multiply our best estimates for all of them together, and see how many alien civilizations we predict. So, for example, if we think there’s a 10% possibility of each star having planets, a 10% possibility of each planet being habitable to life and a 10% possibility of a life-habitable planet spawning an alien civilization, by now, one in a thousand stars should have a civilization. The actual Drake Equation is much more complicated, as we can see in its parameters, but most people agree that our best-guess values suggest a vanishingly small chance of the empty galaxy we observe. The Drake Equation is very important for subsequent research with the appropriate identification and categorization of the relevant parameters. It also accomplishes the task of providing structure to the ongoing debate about the search for extraterrestrial intelligence and the likelihood of its existence. The large degree of uncertainty, associated with so many of its parameters, leads us to a continual journey for one main purpose: to learn.